Art, Design and Technology is an extremely important part of our curriculum at St Edmunds Prep School. 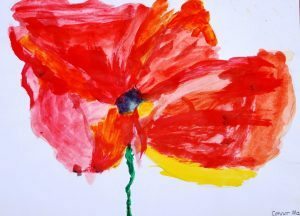 Through Art we aim to nurture confidence and self-belief of the whole child. We aim to inspire and fire a desire to create and be creative: through studying artists and designers from a range of cultures, contexts, time and place, and allowing pupils to experience a wide variety of media. In the Pre-prep pupils experience Art and Design Technology within their class setting and it is taught through topics to enrich other curriculum areas. Prep pupils are taught by a specialist teacher in a dedicated Art and Technology room. It is important to us that each pupil experiences the feeling of pride of having a piece of work displayed for all to see. Pupil’s work is framed and displayed throughout the school, we hold small exhibitions in school and enter pupils work in local art exhibitions.